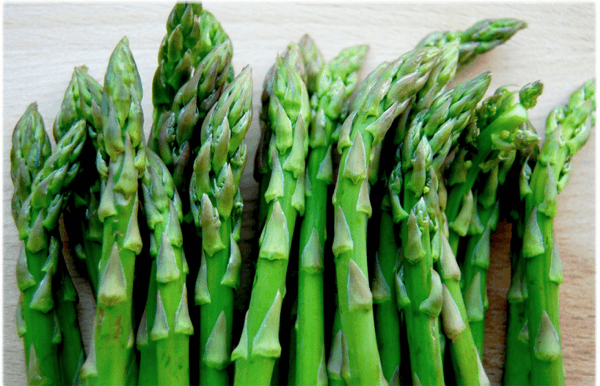 Asparagus is loaded with vitamins and minerals. It is also an excellent source of vitamin B6 and zinc. This salad makes for a nice side dish. Trim the hard ends of the asparagus and steam them till they are 'al dente'. Set them aside to cool off. Mix the lemon juice with the oil and season with salt and pepper. Now here comes the tricky part: poach the eggs. If you can poach an egg the classic way, then do it that way. What I like to do is put a small layer of water in a bowl (that you can microwave) and crack an egg into it. Put in the microwave for about 1 minute (of 600 watts) and check if it’s to your liking. If not, you can microwave it for another 20/30 seconds. Mix the greens with the asparagus and the lemon dressing and mix so that everything is coated into the dressing. Grab 4 bowls/plates and serve the salad with the poached egg on top.